Good Day Gentlemen, Where did/does the time go. We're exactly 30 days away from the tour starting… wow. Lars is All Ready Excited to Start The Winnipeg to Whitehorse Tour and Every Place In Between ! 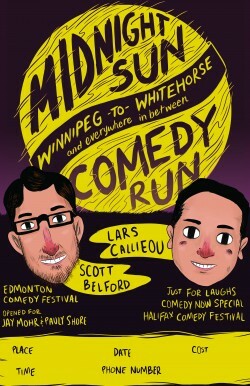 Book The Midnight Sun Comedy Tour Now !